Are gymnasts in the military? Why was Gabby Douglas a target of so much hate, and is her Miss American judging move hypocritical? Is it ok to move forward and forgive Arthur Nory Mariano since he has apologized? Which federation handled issues of race in an appropriate way? Q&A with Houry about security, flooded rooms, medical care, brazilian fans, and the famous condom machines. Grandi and his big mouth strike again. Gymnastics chief prefers Raisman style to Biles “acrobatics” and China are trapped in a robotic style of training. Ponor went off on Tumblr, but Bea from The Couch Gymnast put it in perspective for us. How was the Gymnova floor and carpet for Houry? Simone locked down her place in history with another gold. Aly Raisman vs. Simone Biles execution deductions explained. Fabian Hambuchen finally won!! Hambiceps hugs for everyone! Manrique Larduet was a Kerri Strug-esque hero again with his triple twisting double layout! Should inquiry’s now be conducted like they were in wrestling, by throwing plushy toys or like these Mongolian wrestling coaches by furiously stripping. P-Bars Final (1:31:04): The Oleg Vernaieve, Danell Leyva and Belyavsk party where Manrique Larduet was a Kerri Strug-esque hero! Watch “The Gerbeshian” on bars here. 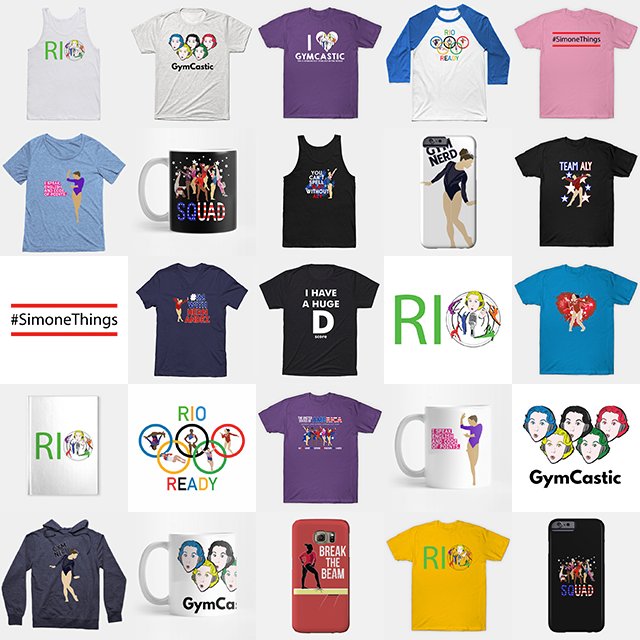 NBC streaming coverage has been archived in full along with the daily online gymnastics recap show with Courtney Kupets and Jon Horton, produced by Lauren Hopkins, edited by Deanne Hong called the Daily Dismount. @Euphrosyna – I wanna be coached by Nellie Kim, cos if I didn’t make a team, she’d just sort out citizenship for somewhere else. 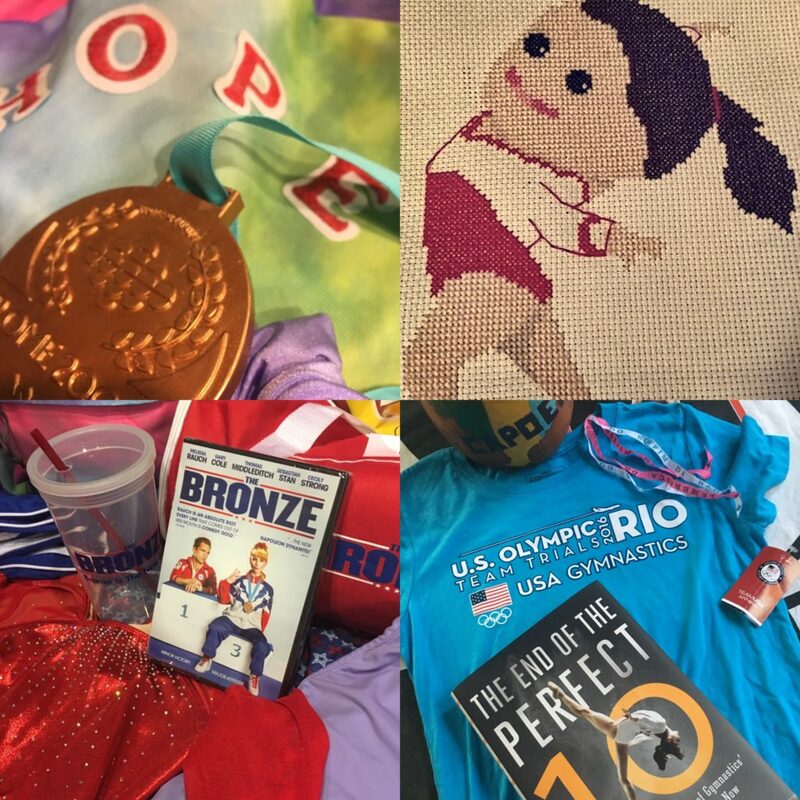 Both win, props and wardrobe including leotards, team warmups used in the film, one will win the one-of-a-kind Aliya Mustafina, handmade cross-stitch by Spanny Tampson, pictured above. I think there were many people who were upset she was on the team so they were ready to jump on anything she did!! A second thought is that somehow drama is always surrounding her they (her mother) seem to be looking for attention dropping hints of things to the media playing the race card ( which is not why she was picked on imo see first comment) and I don’t dislike her but it does seem way less classy compared to the other girls who don’t air things publicly at least. And just as a side point she did seem unhappy I wonder if she was pressured into this comeback to support her family ? I watched Melnikova opening crying and unable hold back her tears in front of Aliya and Seda when she didn’t make AA final but no one complained. Aly has already said they all get along and Gabby personally congratulated both her and SImone. needs to smarten up about how she’s perceived since she also benefits financially for being Olympic champion. I do not think it’s hypocritical for Gabby to judge the pageant. I think it’s an honor for her because all of the hate she has received. To know that she can stand on the same podium with so many beautiful women is admirable. Kudos to her and her bright future. I say this with no snark or shade intended….have you considered having an African American gymnast on the show when discussing race? (Or maybe you have, in which case please tell me which episode.) Because the few times I’ve heard you guys talk about it you’ve dropped the ball. You can’t talk about gymnasts who make racist comments and turn it into a complaint about how people are meaner to horrible people they like without actually addressing how horrible those racist athletes are. You can’t defend Gabby against her haters and then call her a hypocrite for judging people on their looks when the hate she gets is not about her looks but her race (and those are two different things before anyone tries to claim otherwise). And you REALLY can’t conflate the treatment Gabby gets to the treatment Nory and Skinner get as if they are in any way related. I just think there’s a lot of nuance in these issues that you are unaware of, and it makes for a super frustrating listen. The biggest hate that Gabby received during the Olympics IMO has nothing to do with race…but rather her personal choices. 1) choosing not to place her hand over her heart during the National Anthem. 2) Choosing not to give a standing ovation for Aly…or was it Simone during the AA. IMO that has nothing to do with her race. That said, although she was no Jordyn Wieber during the AA, and did not express the same feeling that Jordyn did in the stands (I strongly remember Jordyn cheering for her), she does not have to. I’m sure it was very hard for her to watch that competition. Another side note…very interesting to say that Gabby has never been the smiling type (and she certainly hasn’t been since 2016 Nationals)…however her fluff during the 2012 Olympics was about her smiling all the time. For the love of all that’s holy there are countless memes of white American athletes at the games who also chose not to put their hands on their hearts during the National Anthem. The winners of the gold and silver medals in shot put are just two of many. Where is the outrage towards them? Nah, instead, let’s keep denying that race and gender combined with irrational hate for an athlete has absolutely nothing to do with it. And it would be beneficial to have persons of color on this podcast when discussing issues of race. I too often listen thinking y’all are trying but almost always miss the mark. Although he is not an elite/former elite gymnast, they do have Stefane on the show quite frequently. I don’t think he has spoken to any of the issues you have mentioned above but I remember that on a DFG recap, he did talk about the significance of Gabby choosing to wear her natural hair. Kind of agree. I felt like race wasn’t addressed adequately at all in this episode. It was handled in such a drive by manner that It aupports the ability of ignorant people to use phrases like “playing the race card.” I was disappointed that the deeper issues weren’t explored. Yes, we have. Check out the Douglas Family Gold podcast episodes with Stefane. that doesn\’t count. As someone said, if Gabby was being judged about gymnastics then it would be understandable. She\’s not being criticized for her gymnastics (mostly), she\’s being criticized for how she looks and her attitude when others get applauded for the same stuff. You definitely need a person who maybe can empathize and educate (Ms Cordelia?!?) and help you guys understand because you clearly don\’t. The biggest example of that is Maroney got applauded for her \”not impressed\” face… very few pegged her as an annoying brat who got upset she lost out on her gold medal. Also, can we also not forget that Simone in 2013 was not getting love/adoration, she was getting criticized as well. It wasn\’t until that gap became so big and so concrete that people stopped with the BS. Also, it helped that Simone\’s personality is sooooo lovely. Sophie Scheder of Germany also is in the German military (sport soldier). Just wanted to point out that the people saying Lochte was just a kid was the IOC, who more than anything wanted everyone to stop talking about this scandal instead of the actual athletes still competing. The public opinion is that Lochte is trash. He lost 4 sponsors in the matter of one day and for a professional swimmer, that puts in jeopardy being able to train. He deserves it for being an idiot, but I don\’t think it\’s fair. to compare his treatment to Gabby\’s as in he got off easier because of the one IOC comment. The general public definitely doesn\’t think that and has been WAYYYY harsher on him over any other athlete in the games. I have to disagree with Jess about Gabby\’s judjing of the Miss America pagent. I am VERY anti Miss America and the concept of beauty pagents in general, but the difference is the Miss America girls know what they are getting into – they are chooosing to be judged in a beauty contest. They are active participants in the judgement. Gabby was choosing to be judged in a gymnastic competition, and the ended up being judged for her looks, etc. Do I wish Gabby wasn\’t judging Miss America? Sure I do. But, a girl\’s got to make a dollar, and I don\’t see Dancing With The Stars rumours about Miss Douglas. I agree with all of this! Also, do celebrity judges for Miss America actually judge, or do they basically just watch and offer bland, encouraging feedback like on certain judged reality shows? I forgot about the other candidate apart from Valery Liukin whom I obviously recognize and support immediately. But that lady has known Bela for quite a while, it seems. And I also curious about where would the Karolyi live after they retire. It\’s not like the Ranch would move, and it\’s not likely that you can take Bela out of chopping trees. Perhaps Marta would still hang around the gym as a silent observer??? But who are we kidding with… There\’s no way she can keep quiet when she sees something she doesn\’t agree with. I have to be honest, whenever you get into race issues, I don’t think you fully understand what you’re getting into. Stefane is one person, no offense to him. On the podcast, long ago when you discussed NCAA coaches you made a comment about how more minorities in the sport would lead to more coaches. I almost fell out of my chair. African Americans have played D1 football and basketball in numbers higher than their percentage of the population in excess of 30 years. What percentage of head coaches are African American ? It’s the inherent racism in old structures that will not die, no matter how much diversity there is. My sister is actually the one who told me Dominique Dawes really had an issue with Gabbys “flying squirrel” nickname. Anyways race is very complicated and while I appreciate you bringing it up and attempting to understand, in the future I would recommend getting a few more diverse voices. Gabby never mentions race. If she’s questioned in an interview, she’ll an honest answer and some [white] fans hold that against her. Someone like Simone on the other hand gets praised for doing her best to minimize race whenever it’s brought up, which makes white fans feel more comfortable.